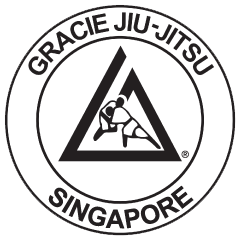 Although Gracie or Brazilian Jiu-Jitsu is the most effective martial art on planet, it is a relatively young martial art. Lacking a standardized curriculum, it is common practice, at BJJ schools around the world, for techniques to be presented in complete randomness. Each day, the instructor shows up to class, having no clue what to teach, and asks the students: “What do you guys want to do?” as if the students know better than he does what should be practiced. Learning in such an unorganized environment can be extremely frustrating and overwhelming. New students almost always feel left behind since the techniques are usually tailored to meet the needs of the more advanced students. In most cases, students experience a sensation known as “Technique Overload” and end up quitting within 3 to 5 months of enrolling, and when they do, the instructor believes that the student’s lack of discipline is to blame. What they fail to realize is that when a student quits the problem lies not within the work ethic of the student, or the techniques of the Brazilian Jiu-Jitsu, but within the format in which the techniques are being presented. 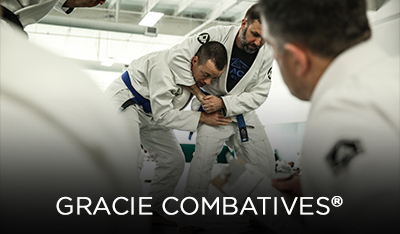 Gracie Combatives is our beginner program for adults. In this program, you will learn the 36 core techniques of Gracie Jiu-Jitsu in a fun, safe, and cooperative environment. Beyond blue belt, Gracie Jiu-Jitsu consists of hundreds of advanced techniques, all of which we have organized into a clearly defined, systematic curriculum called the Master Cycle. 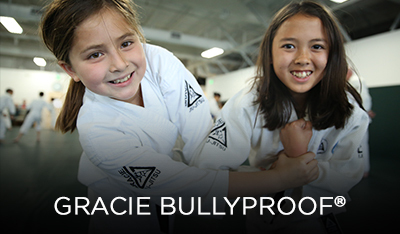 Brazilian Jiu-jitsu is the perfect self-defense system for women, but only if it is taught correctly. If you’re unsure about learning BJJ for fear of injury, embarrassment, or any other reason, then the Women Empowered program is perfect for you!